As part of the EUCAD 2019 Conference, the ARCADE project is organising a Stakeholder workshop in Brussels on 4 April 2019. ARCADE is the new EC-funded Support Action that has taken over the work from CARTRE since October 1st 2018: namely the coordination of cooperation and consensus building between stakeholders and R&I initiatives on a common approach to development and testing of connected and automated driving (CAD) in Europe (and beyond). Similarly to CARTRE, ARCADE is working on the basis of thematic challenge areas related to CAD deployment. 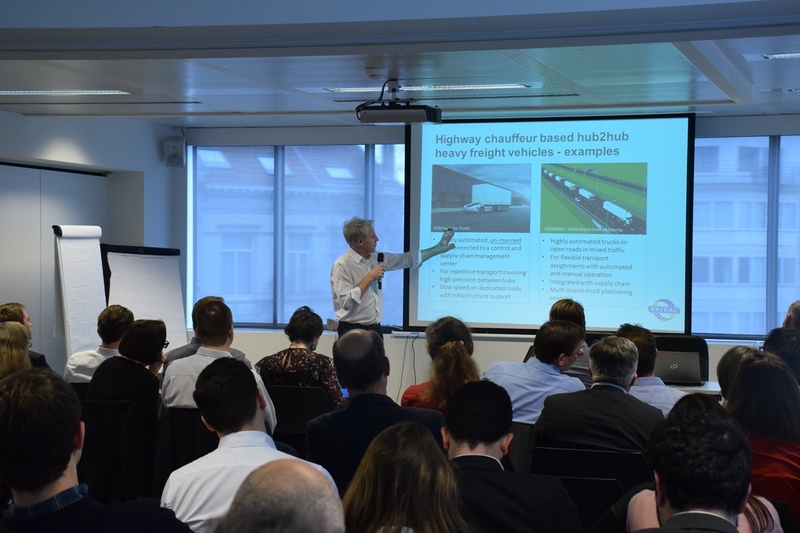 In CARTRE, these thematic areas produced «position papers» that were used as input namely to the ERTRAC Roadmap on Automated Driving and Strategic Research Agenda as well as European Commission’s Strategic Transport Research and Innovation Agenda (STRIA) roadmap. ARCADE thematic areas have started investigating key uncertainties blocking fast introduction of CAD, creating negative impact, as well as resulting scenarios for 2030-2050 (from the different angles of the respective themes). A first workshop was held on 5-6 February 2019 to receive feedback and further input on the thematic areas initial findings. Based on the workshop results, the draft scenarios will be refined and consolidated into a roadmap. This roadmap, which will be continuously updated in the course of the project, will be used as input to the new ERTRAC roadmap on Automated Driving. This second Stakeholder workshop of the Joint CAD Network will focus on R&I initiatives, their results, challenges and gaps in the context of ARCADE thematic areas. The purpose is to identify future research needs as well as areas of mutual interest for collaboration between the projects. The workshop is free of charge but places are limited and thus registration is by invitation only. Send us your interest to receive an invitation.